CSG is pleased to announce for every transaction closed, a grove of trees will be planted in one of our country’s fragile habitat communities currently under restoration through the USDA Forest Service Plant-A-Tree Program. 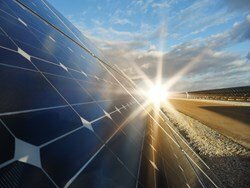 Churchill Stateside Group, LLC (CSG), a real estate and energy financial services company, is pleased to announce the closing of its tax credit equity fund for the development of 28 megawatts of solar energy projects in North Carolina. Churchill Stateside Group (CSG) is pleased to announce David Carr has joined the CSG team as Vice President, Investor Relations to further develop and manage the growing tax credit equity investor base. May 2015 (From Left to right): Keith Gloeckl Danny Ellis, Nooley Reinheardt, Rex Tilley at the 17th hole at Secession golf course Beaufort SC. A great time had by all. 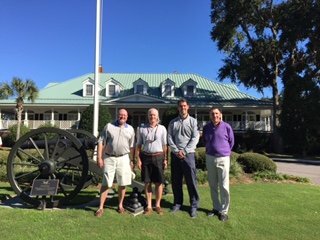 November 2015 (from left to right): Keith Gloeckl, Rex Tilley, Mike Dury, and Mike Petrie in front of Secession Club house after two days of golf. The gentlemen from Indiana slammed the men from Florida but we will have a rematch!!! 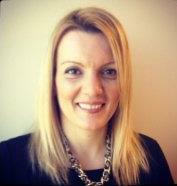 Churchill Stateside Group (CSG) is pleased to announce Aniko Rakita, has joined the CSG team at our Dallas, TX location as the Vice President, West Regional Production Officer for CSG. Aniko is responsible for debt and equity origination for both affordable and market rate properties in the West and Southwest regions.